The custom IPSW creator for Mac is back in a new version to support iOS 4.3.1. 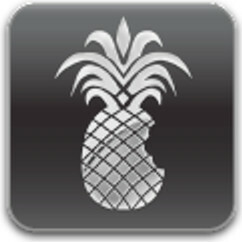 The new Pwnagetool 4.3 by iPhone dev team will aid users to Jailbreak their iPhone, iPad and iPod Touch untethered. Pwnagetool 4.3 is built on the kernel exploit found by ion1c that was reported to the dev team. The Windows counter part of Pwnagetool 4.3, Sn0wbreeze 2.5 is also now available for download. The advantage of Pwnagetool 4.3 is that you can retain you old baseband even if you upgrade to the latest iOS version. Therefore you can unlock your iPhone 4 or iPhone 3G in old baseband using Ultrasn0w in Cydia. The process of jailbreak using Pwnagetool 4.3 is pretty simple and self explanatory. Just download iOS 4.3.1 IPSW and follow the on screen instructions to complete the process.